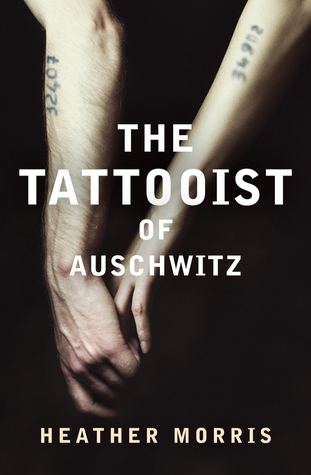 It is the story of Lale, a young Slovakian Jew who is taken to the Auschwitz concentration camp in April of 1942 where he is given the opportunity to become the Tatowierer, the tattooist who must write the numbers onto the arms of the new prisoners who arrive day by day. Because this job falls under the offices of the Political Wing of the SS, Lale is afforded a degree of freedom which allows him to do his bit to try and keep his fellow inmates alive, even when it means risking his own life. It is while he is redoing the tattoo on her arm that he meets Gita, the love of his life. The book is based on a true story, and was told to Heather Morris by Lale in the months before his death in 2006. Initially the subject of a Kickstarter campaign, it was eventually picked up by Echo publishing and Bonnier Zaffre. There are many novels and books out there about the Holocaust, and while this one had an added layer of being part-biography, at times I found it hard to connect with the characters on an emotional level. The story was told almost as a stream of facts; there was little to show us the landscape, or the emotions that the characters were going through, and instead the book moved along in dialogue and big events in the character's lives. I kept thinking of books such as Elizabeth Wein's Code Name Verity and Rose Under Fire, and thinking about how those books broke my heart and made history real. Perhaps because I have read so much on the subject already it was hard to be shocked by what I read, but in fact I think it was more that the novel has such a distancing style, more suited to a news article or perhaps to the screenplay Morris initially intended to write. Yes, I am still impressed by Gita and Lale's story and their survival, and yes, what happened to them was dreadful, but as a novel, this simply did not work for me. It would have been better framed as biography.